A State of Embarrassing Confusion. 10 Things New Teachers Should Know. Plan to fail, if you fail to plan. .As educators, we all know this. it’s better to over plan than under plan. You don’t want finish your lesson 10 minutes early only to stand there watching your students go crazy because there’s nothing to do. They know if you under plan and they won’t let you get away with it. Adding to the fact that at any point, you may be observed and that won’t look good to your administrators. Try to plan for 2 days, therefore if you finish your lesson early, you can preview the next day’s lesson. Over plan your lesson with different small activities so you can trim some for time and still be on pace with your lessons. Always have a lesson plan ready to guide you or if your administrator requests a copy during an observation. Place time limits on every section of your lesson plan. Pinterest is your best friend. 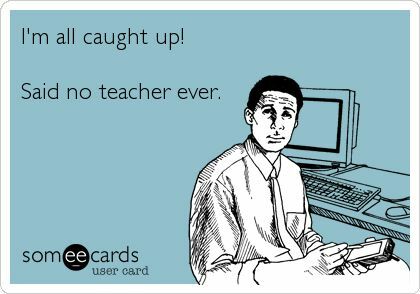 It’s pretty intimidating to be the new teacher, older teachers and students may be quick to dismiss you and not take you seriously. You may feel like you have no idea what you’re doing. It’s always helpful to reach out for advice, questions and just to vent. It helps immensely. Share resources. Steal with zeal. All teachers were new at some point. find a teacher who is teaching your subject area and see if that teacher has any lesson plans or power points that you can pursue through and modify. 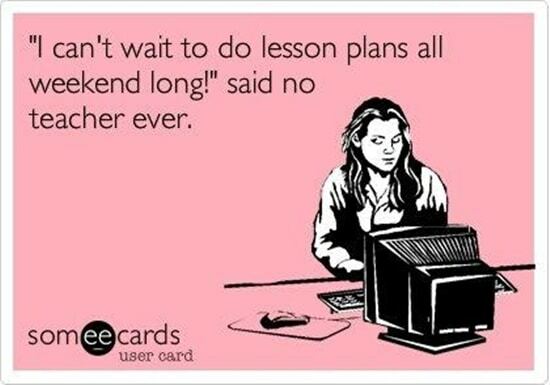 Some teachers will let you use their lesson plans! Always seek out at least one teacher to befriend; they know what you’re going through and is probably flattered you reached out to them. 8. Don’t reinvent the wheel. I truly mean it. It’s a phrase that you will hear over and over again. Similar to stealing with zeal, your first year is difficult as it is. There is no need to add more work if it’s unnecessary. See if the school has curricula they’ve been using, reach other to other teachers who has taught your subject area before. use their pacing guide, modify their lesson plans. Truth is, many teachers reuse their old lessons, they just modify it slightly every year. 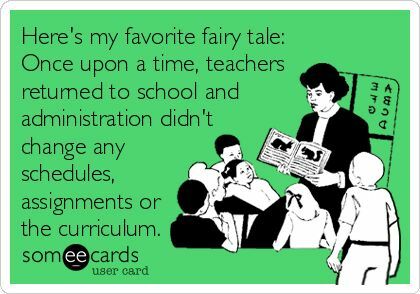 This applies to classroom management as well, see what procedures work best, what course outlines have been used, templates for parent letters, etc. 7. Don’t gossip – everybody talks. 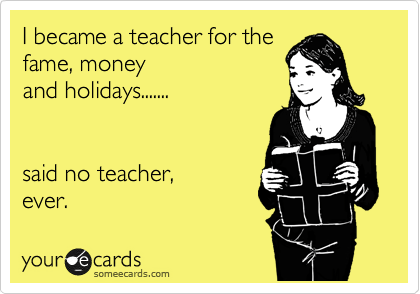 Being a new teacher is like being a tourist in a unknown country. The natives will try and figure you out while selling you expensive souvenirs. Teachers will be helpful by telling you which of your colleagues to watch out for, but ultimately, it’s up to you to choose who to befriend. The school climate is like a political war zone; teachers are often at odds with other staff and they want you on their team. Thank them for their advice, but don’t say anything negative and don’t gossip – especially if it’s about the administration. Everything you say can and will be used against you. Use your professional judgement. 6. Students want to learn! You don’t hear this often as many administrators, teachers and people may say classroom management is priority. It is. It is important to set guidelines on what you will or won’t accept and give students routines and consistency. But remember, students want to learn! They know why they’re in school, they know what’s expected of them and though at times, you will inevitably get the “why do we have to do this?” remarks, the fact of the matter is, they want to master concepts and excel in school. This is why we push various ways of teaching, in order to get them to master the content and standards, but also find various ways for them to access the materials. One time, a co-teacher of mine was giving a lecture on why school was important, etc., etc. and a student flat out said “can we learn already?” Albeit, it was rude of him, but it was heartwarming to hear that, from high school students (he wasn’t the only one to say it). 5. It’s not always going to be perfect. I find most people in the teaching profession are perfectionists – myself included. We spend hours perfecting our lesson plans, down to the seconds sometimes. We become friends with google as we search endlessly for new techniques, new lessons, new activities and familiarize ourselves with the content. We create power points, worksheets, assessments, homework packets. We enter grades, make parent phone calls, grade papers, the work in never ending. 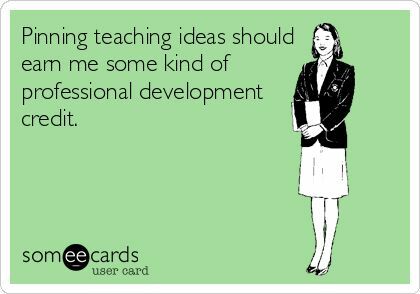 But the most important part of our day is actually teaching: standing in front of the room and delivering content. It’s like a comedian doing stand up: find inspiration, write their jokes, research, edit and deliver the jokes during their set. 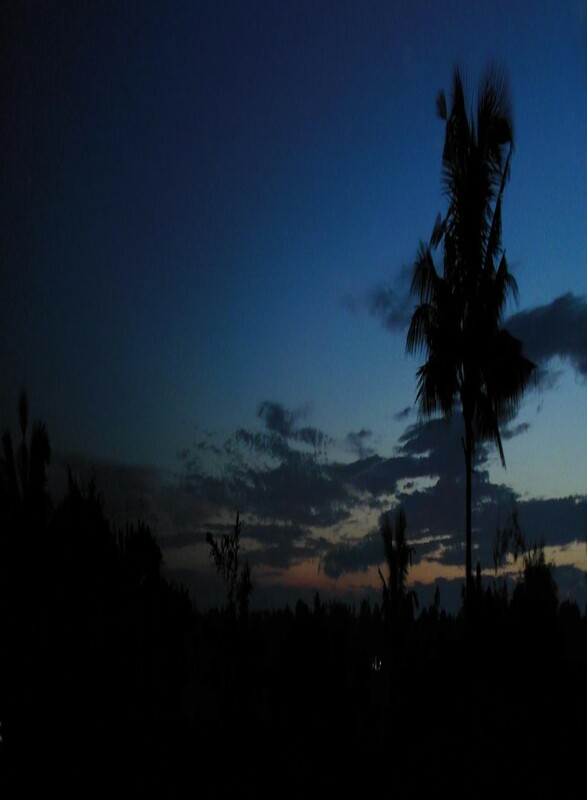 But every day will not be perfect – which can cause us to self-criticize. It is important that we go easy on ourselves. Remember, the point of lesson planning is to ensure we deliver instruction in a timely manner. As long as the students grasp what you’re trying to teach them, it doesn’t matter if you didn’t the lesson didn’t go according to your lesson plan or that you get to complete your lesson in one day. Trim some activities or just adjust the next day’s plan to go over what you didn’t cover the previous day. As new teachers, mistakes are bound to happen and administrators and fellow teachers know that. Like we tell our students, as long as you put in effort and students are learning, that’s what counts. This applies to classroom management. Not every day will be perfect. 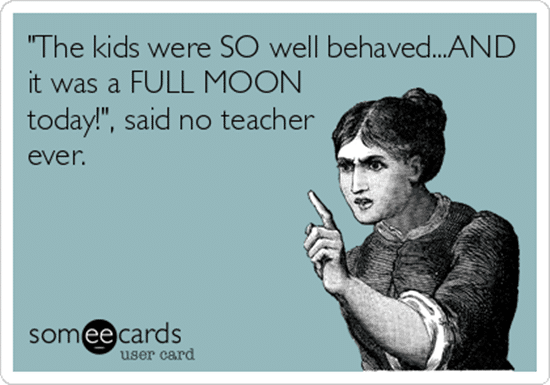 A lot of educators will tell you, you can always tell when it’s a full moon by the students’ behaviors. Some days, your best class will be the worst or vice versa – especially after long holiday breaks. It happens, don’t be critical of that. If you have your classroom management tools in place, you should be fine. Remind students of their expectations and don’t be afraid to go over them once in awhile. Rules aren’t something you create at the beginning of the year and forget. It’s something you revisit after a bad day or after holiday breaks – when the students seemingly forget everything you’ve taught them. Review and keep going. As new teachers, everyone is quick to impart their wisdom. What to do, what not to do, how to do, when to do, etc. It can become overwhelming. For me, I’ve always taught the way I wanted to. After all, it is your class. The mindset one must have is “how will this benefit my students?” That is most important. Do what you want. See what works best for your students. As long as you follow your school’s pacing guide, templates, etc. You are free to teach your way. For example, I recently gave a lesson where my students had to identify the difference between living and non living things. They had to sort out the characteristics and such. Instead of using individual worksheets, I put the continuum of living and non living things and had them go up one by one with a post-it of their objects and place it along the continuum. They also had to explain to the class why they choose to sort their object that way. This worked well as they got to do things hands on, they had support and confidence from their peers, I can assess their understanding on the spot and it saved me from having to individually grade each worksheet. Do whatever feels right to you. Teachers are perfectionists – and in that way, we are afraid to let anyone know were struggling or that we need help. Some times we just need to vent our frustrations. It’s important that you find a friend to confide in. Whether it be a fellow teacher at the school (choose wisely), or a friend or partner who doesn’t mind hearing you talk about your day. Corral a couple of teachers for happy hour Friday after work. Journaling is a useful tool as well. Journaling is a great way to keep track of your progress as a new teacher. Years from now, when you reread those journal entries, you’ll see the progress you made and the skills you’ve gained. Find an online support group for teachers: Facebook, Reddit are great resources. Outside of that, you can always work out those frustrations, cook, etc. Whatever puts your mind at ease. Something simple like a text during lunch or a walk around the block to get coffee, can help immensely. A healthy teacher, both physical and mental is a healthy classroom. Your tone, mood, etc. helps set the classroom culture. You feel burnt out? The students will definitely feel that too. Students pick up on things we aren’t aware of and we must strive to always put our best foot forward. As stated, we have a lot on our plate: personal life, romantic life, professional life. It’s hard to juggle everything we have to do with the limited hours we have, so make a point to prioritize. Make a to do list and rank your tasks on what is most important to do that day, that week, that month. Google calendars or any calendars which come with reminders work best. The night before, I go over in my head, how my lessons will go, and what materials will be needed. I look at my school schedule to see what periods I have prep in to prepare. I also read my lesson plans for the next 2 days so I know what copies I need to make to have on hand. Making copies the day of the class is a HUGE risk. Copy machines can be broken or something may come up where you don’t have time to prepare. 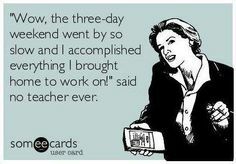 Grading and other tasks can be left to another day. Remember, always make time for yourself. Don’t let teaching control your life. It’s important that you don’t get overwhelmed. Often teachers feel a lot of pressure to make sure their students achieve that they neglect themselves, their families, their friends. Actually, you need your friends and family the most. Make time for yourself, your friend, your family. grading can wait – go on a date night with your love one. Have a night out. Get some wine and make it a Netflix/Hulu night. Take time to decompress where you don’t feel like your job is strangling you. Trust me, little things like that help you renew your spirit and commitment to teaching. Take one night where you don’t take any work home or do any work at home. Finish your work at school and leave work at work. 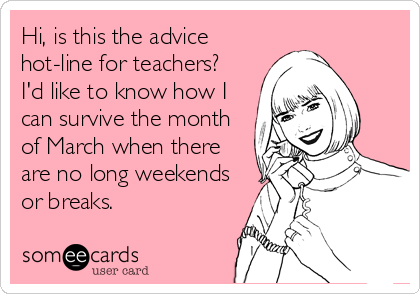 Trust me, teaching is not for the faint of heart. With all the administrative tasks, planning and teaching that goes on, and salary not reflective of the work we do, it’s easy for us to fall into a rut and feel discouraged, but think of all the students we’re helping. You don’t go into teaching if you’re not in it for the students. Though it may seem like a thankless task, imagine one student (or more) who will forever remember you as their favorite teacher. That is the biggest reward. Let me know how your experience has been, I’d love to hear from you! Next > Why are you single? Tools for a successful relationship. 10 Things New Teache… on I Quit. By Any Comparison… on I Quit. zdcg on School of the Future. ahotmess1 on School of the Future. Sam Wight on School of the Future.